Every single Exotic Pet Kit-Cat is unique. 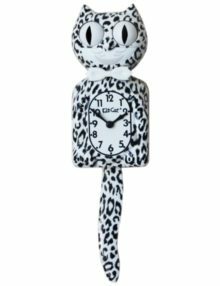 Exotic Pet Kit-Cats are dipped in premium hydrographic patterns resulting in slightly different markings with every clock. Each clock becomes one of a kind. Welcome to the Exotic Pet Collection! This Carbon Gold Kit-Cat is ready for adoption. His pattern is subtle yet rich! 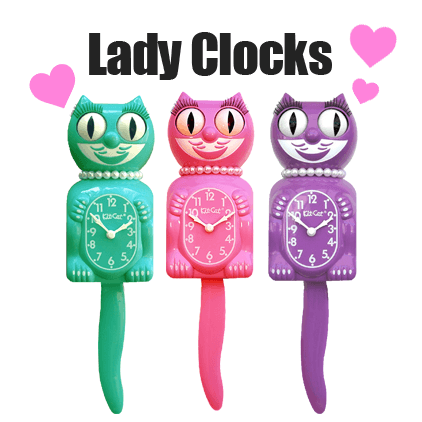 Read more below about the special markings on these clocks. Welcome to the Exotic Pet Collection! This Snow Leopard Kit-Cat is ready for adoption. Bring him home today to share some school spirit, your love of animals, or a little walk on the wild side with Kit-Cat! Read more below about the special markings on these clocks.